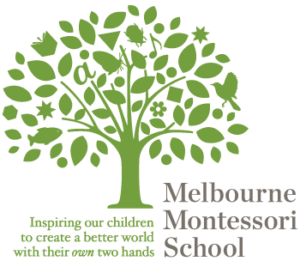 Melbourne Montessori School (MMS) is an independent, co-educational environment currently catering for children from 18 months of age (walking) to 16 years of age. Programs include Parent and Toddler playgroups, an Early Learning Program, a Junior School and a Senior School. There are two campuses, one in Caulfield and one in Brighton. Each has age appropriate outdoor spaces with interesting structures, and classrooms equipped with Montessori materials. These environments are prepared for children and adolescents at each developmental level, and allow them to take responsibility for their own education. As a result our students develop a life-long passion for learning. All classes are multi-age, giving each child the opportunity to learn from others and the flexibility to develop their personality at their own pace, both socially and intellectually. Children usually stay with the same teacher for three years, and this leads to strong teacher-student bonds and a deep understanding by the teacher of individual student characteristics.